Matava – Fiji’s Premier Eco Adventure Resort today announced that it has received a 2014 TripAdvisor® Certificate of Excellence award. The accolade, which honors hospitality excellence, is given only to establishments that consistently achieve outstanding traveler reviews on TripAdvisor, and is extended to qualifying businesses worldwide. 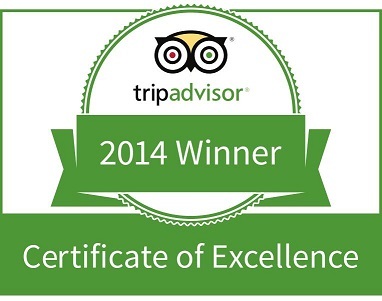 Lees than 10 percent of accommodations listed on TripAdvisor receive this prestigious award. To qualify for the Certificate, businesses must maintain an overall rating of four or higher, out of a possible five, as reviewed by travelers on TripAdvisor. Additional criteria include the volume of reviews received within the last 12 months.